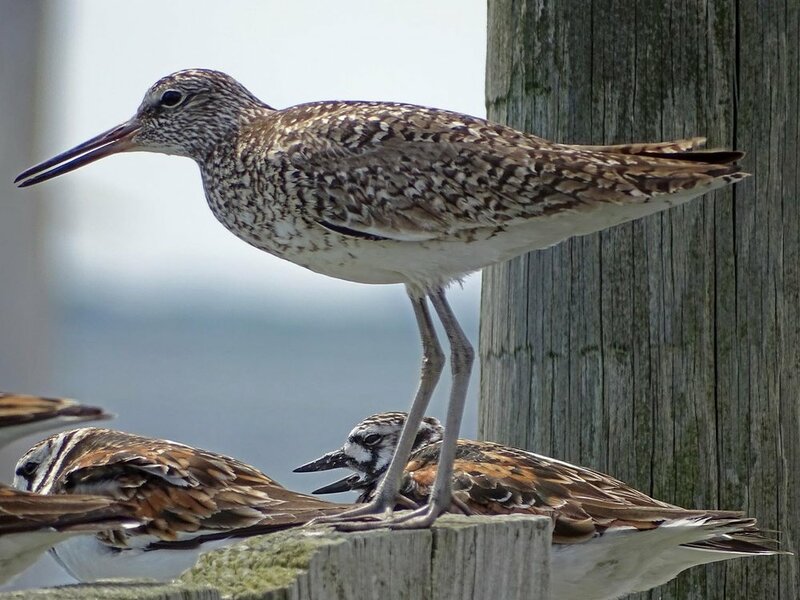 A willet (Tringa semipalmata) joined about a hundred ruddy turnstones on June 1 on a pier at Broad Channel Park in Jamaica Bay and gave them all a talking-to. I'm not sure what this large shorebird was saying to the smaller shorebirds, but the bird was very loud! 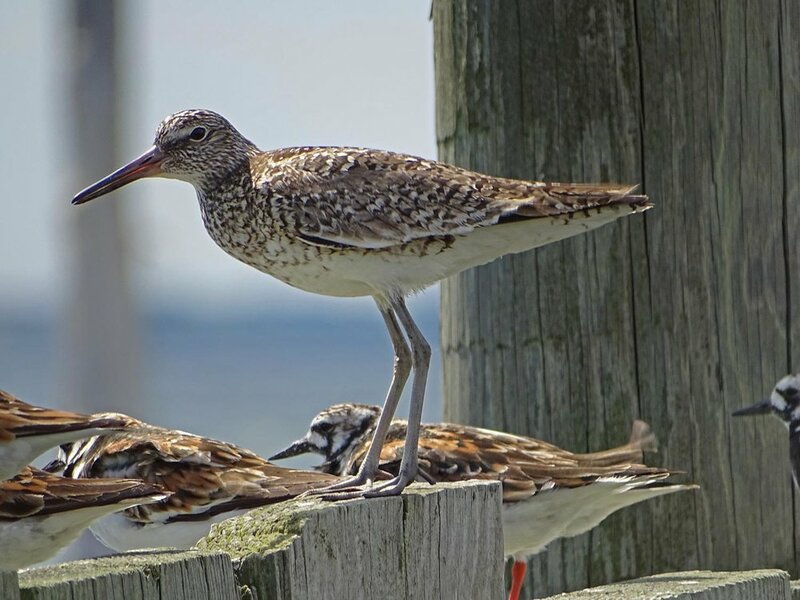 The Cornell Lab for Ornithology writes: "Piercing calls and distinctive wing markings make the otherwise subdued Willet one of our most conspicuous large shorebirds." I filmed this not-so-very-subdued willet for a couple of minutes, and I present the lecture in my most recent Filming the Feathers video. I added a little music at the end of this short video (from Henry Purcell's Fairy Queen, performed by Papalin), because the willet seemed to need a little accompaniment. As you will see, the turnstones weren't all that impressed. Soon after this video, the willet and the turnstones took off (the nearby osprey stayed a while longer). It was fun photographing this willet, but so many shots show a very wide-open beak! 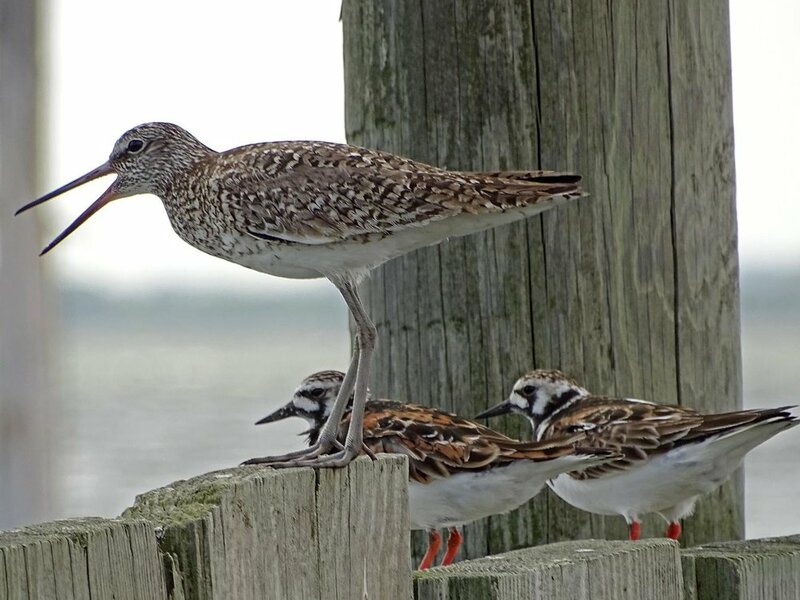 The Cornell Lab describes the behavior: "Willets are often seen alone. They walk deliberately, pausing to probe for crabs, worms and other prey in sand and mudflats, or to pick at insects and mollusks. When startled, they react with a piercing call, often opening their wings and running rather than taking flight.